NEW ARRIVAL - JUST TRADED HERE!! 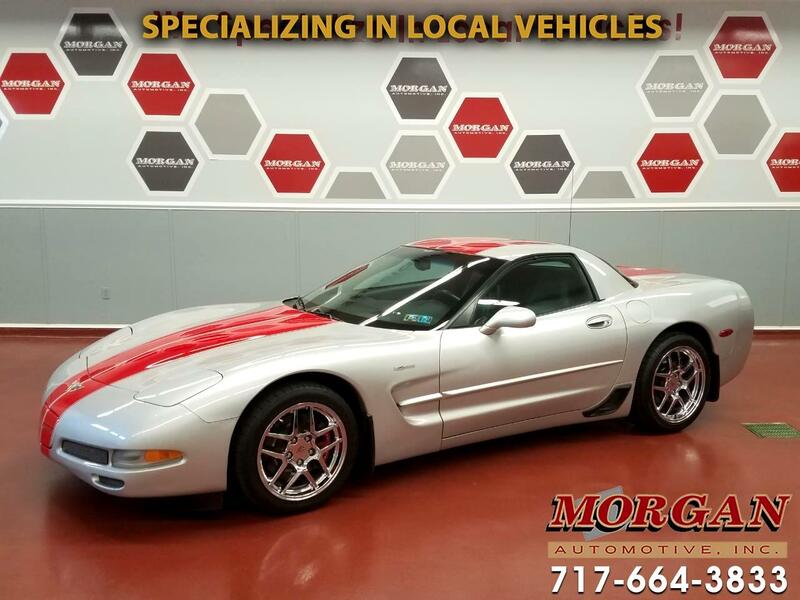 MINT CONDITION 2003 CHEVY CORVETTE Z06 WITH ONLY 30,000 MILES!! ****CLEAN CARFAX****You must see this car to see just how nice it is! Powered by a 5.7L V-8 engine pushing 405hp this baby is as fast as it is beautiful! Comes equipped with leather seats, steering wheel and shifter boot, AM/FM/CD/AUX radio with BOSE Premium sound system, Heads Up Display (HUD), traction control, cruise control, 2 position driver's memory power seat, power mirrors, windows and locks. Fresh inspection and tires and brakes are in good condition. Comes with a 1-month/1,000 mile powertrain warranty. Trades are welcome and financing is available.